Size: 328 sq.ft. - 430 sq.ft. Neptune Developers has redefined Indian Real Estate market with the launch of Ramrajya Community at Ambivli, Kalyan. This is the first and the only residential project in India under Progressive Housing Allotment category registered under the RERA - P51700016156, P517000161351 and P51700016352. By developing this beautiful & gated community the developer is making it possible for all income group customers to demand their desired home. About 28 towers will be built up over the 100 acres of land for about 10K families. Ramrajya Township by Neptune Developers is filled with luxury homes with best in class features at reasonable cost. Neptune Ramrajya homes amounting 19.88 Lacs (INR) onwards with PMAY payment plans, maximum load duration and very low interest rates. The possession is scheduled by Quarter 1 of 2022. 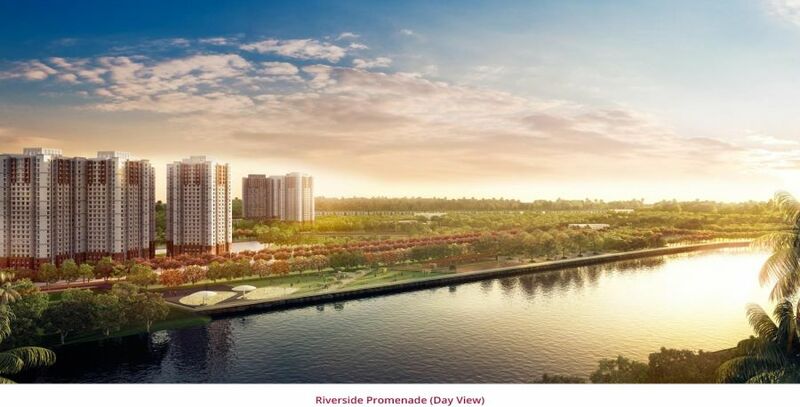 Ramrajya Township is a grand riverfront development launched in May 2018 by Neptune Developers. It is hosting n number of buildings and all edifices have 23 floors with roomy apartments. The type of apartments available here are 1 BHK Deluxe, 1 BHK Grande, 2 BHK Deluxe & 2 BHK Grande. 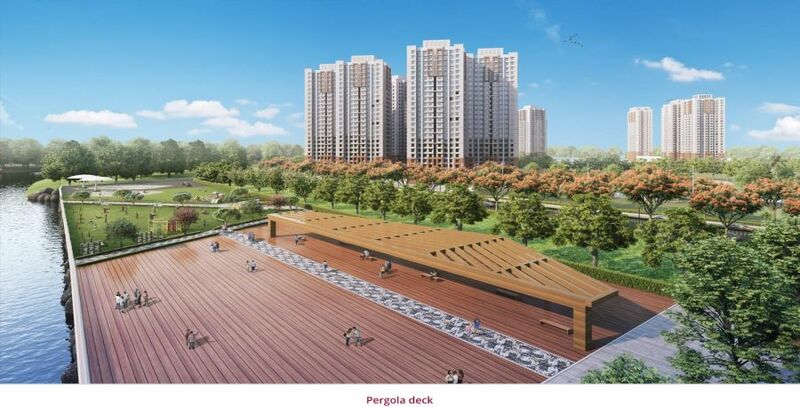 The 1 BHK units ranging from the carpet area of 332 Sq.ft to 365 Sq.ft & 2 BHK units from 415 Sq.ft. to 512 Sq.ft. Neptune Ramrajya Community also have Supermarket, Hospital – Platinum Healthcare & school – NES High School within. The 2 acres of space is for a large wedding ground. Ramrajya is an urban styled community brings all the pillars (Adhyaatma, Kalpana, Gyan, Utsav, Josh, Kaushal, Umang & Swasthya) together for the better living environment to its residents. It brings you one of the finest property options for self-use & long term or short term investment to get higher returns. 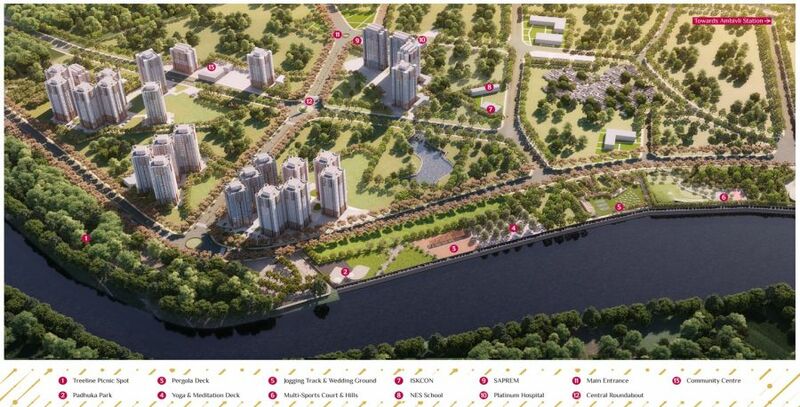 # 330 hectares of Central Business District by MMRDA & South Korean Government. # Ferry services between Kalyan and Vasai. # The proposed metros line by 2019. # A 29 kilometres ring road by MMRDA connecting parts of KDMC. # Mumbai University – New Campus. 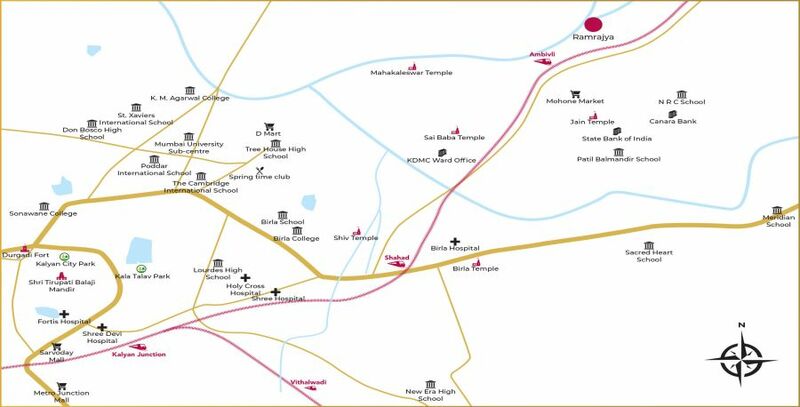 # A multi modals corridor Virar - Alibaug of 126 km with Phase 1 & Phase 2. Phase 1 will be completed by March 2022 and by December 2022 Phase 2 will be completed. The project is advantageously offers you the direct access to Mumbai Central line or roadways & Navi Mumbai through Trans harbour railway route and many public transport systems. Neptune Ramrajya site address is near Ambivli Railway Station falls under Kalyan Dombivli Municipal Corporation beyond Thane city, Maharashtra – 421102. Neptune Developers are operational since 2004 (more than a decade) to build commercial, entertainment, retail, residential projects, gated township and It Parks. The group has successfully delivered large number of projects named Neptune Living Point, Neptune Harmony, Neptune Element and Neptune Colorscape, Flying Colors, Neptune Uptown. Florencia (Mulund West), Eleve(Bhandup West), Lotus(Mulund West), Neptune Avens(Ghatkopar East), Summit 696 (Madhurwada Vizag), Rose (Ghatkopar East), Triveni Sangam( Kalyan), Flying Kite (Bhandup West), Neptune 101(Cochin), Jubilee 800(Hyderabad) are the ongoing projects by Neptune Builders over 20 million Sq.ft of spaces across major cities in India. 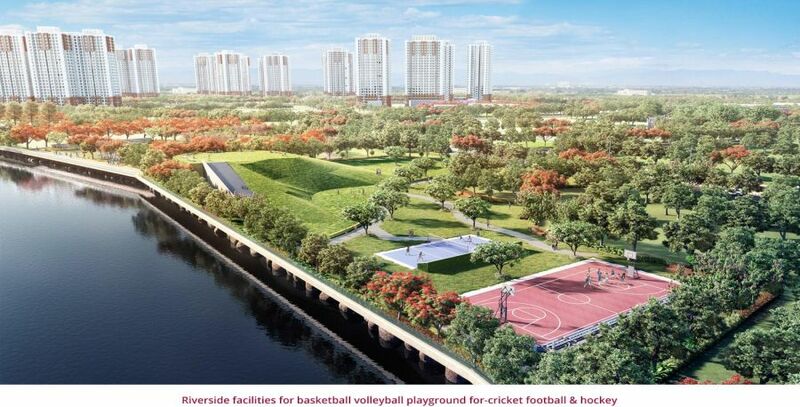 Vastu Compliant Homes, 24 Power Backup, 24 Hour Water Supply, Lifts, Olympic Sized Swimming Pool, A community hall of 50000 Sq.ft includes Clubhouse & Party Hall., Reserved Car Parking, Visitor's Parking, Tennis Court, Children's Play Area, Gymnasium, Yoga Centre, Jogging Track, Indoor Games, Volley Ball Court, Temple, Music Academy By Suresh Wadkar, Dance Academy by Madhuri Dixit, Sports Academy by Anil Kumble & Skill Development Training by Saprem. 377 sq.ft. - 876 sq.ft.